Do you think I should stop Loomis then? Actually, the book is available for free online (legally). I drew some more heads from Loomis. I will look at other books I downloaded soon. I don't think you should stop but take it as a slower pace and look for others that share similar tips. Whoa jumping right into loomis huh. You're braver than me that's for sure. I just can't handle his work it feels soul sucking. It's good that you're able to draw them. Go on as long as you like. I went to the store and spent some money on myself (which never happens). I decided that having all these pens and pencils was kind of ridiculous since I only had printer paper to draw on. I didn't buy the really good paper, but I did pick some nice all-purpose paper. It weighs 100 gr and the old one only weighed 80 gr. I hope it will make a difference, especially when I ink my drawings. I also bought 4 "B" pencils, because I didn't have any. I'm getting a bit tired of Loomis, but I'll look for more books or tutorials and would love it if someone on the forum could suggest good ones. However, I'll do my best to draw a little every day. One exercise from Loomis takes me about 20 minutes (which is a lot for just a head!). That's why I need to find books with shorter, easier drawings. I really wish I could ink my drawings better. I like my fineliners a lot and wanted to use them more, but I guess I'll stick to writing with them for now! I used a 4B pencil to finish my latest drawings, but I don't particularly like the way the lines look, so I'll go back to finishing with a 6B. Again, I'm open to suggestions when it comes to images to copy or tutorials to use. I might draw an upside-down image again. I drew some more heads on the new paper, but I'm not going to post them because they were harder to copy, as Loomis is introducing other shapes. I think he goes way too fast, so I might re-draw the easiest heads, then switch to another book. I do like my new supplies, even if I always feel guilty when I spend some money on myself. I guess thicker paper really is better. I decided against buying tracing paper, because I wouldn't know what to do with it! hey man, great stuff you're doing. drawing from life and loomis go well together. When drawing from life try to draw a bit bigger with longer strokes from the shoulder. It seems like you might be drawing the lamp too small. If you want to learn how to draw things from imagination, you need to come to an understanding of the object; for example, human anatomy, animal anatomy(read books for either, maybe). But take your time. Take as much time as you want, there's no rush. Just draw, for now. Thank you very much! I appreciate the advice and encouragement. I drew some more Loomis heads today. These are heads I've drawn before, but they turned out different this time. I'm particularly happy with the first head. I'll probably stop Loomis as soon as I find better things to draw. 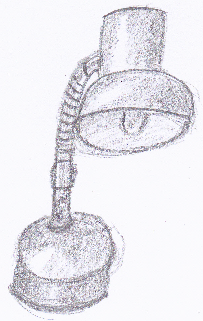 And you're right, I did draw the lamp small. I tend to only use part of the paper, I don't know why. Hehe your heads are comming along really good! Keep it up! Sorry for not posting more often. I check the forum almost every day, but right now I don't really feel like drawing. I wish I could draw more but I don't particularly like Loomis. I'm open to book suggestions or suggestions in general. Anyway, here are the only drawings I've done in the past ten days. I don't like the first one, even though it took me ages. I used a compass and everything for the head, but maybe I should have gone freehand instead. I really do want to improve, but I'm not sure I'm improving at the moment. IRL I have quite a few issues right now, and I'm sure drawing would do me some good if I could find something nice to copy or a good tutorial. I'm sure drawing would do me some good if I could find something nice to copy or a good tutorial. Hmm well I always like using these for references. This person has a lot of good things to practice from in general. Ryan showed me this old site for muscle anatomy a long time ago and since then I always take a look at it every now and then. I post these two links often on this site because they have helped me a lot through my practicing. Anyways~ Keep up the practice . Looks very good, yet room for improvement. I think you will do very well at drawing stuff like chibi characters. Rojas, I will look at your tutorials more tomorrow. I feel guilty for not drawing for such a long time. I want to, but I guess life just got in the way. Do you think just copying a picture/manga frame would help me right now? 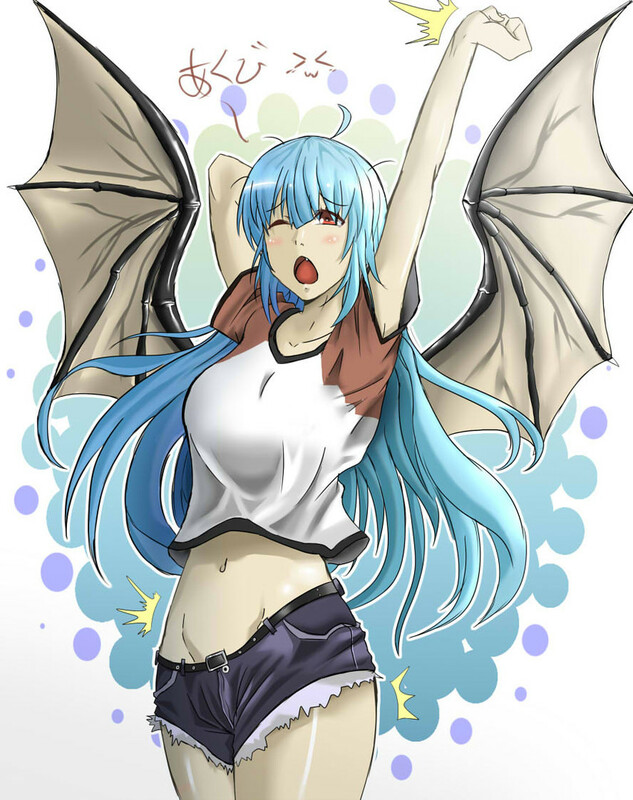 Could someone recommend a manga that's easy to copy/ whose author uses good proportions/anatomy? I really, really need to draw tomorrow. Yes drawing from other people's work is good practice as long as you can remember how things look. Such as if you are drawing a person stretching/yawning remember what parts of the body stretch out and the pose itself. The back outstretches and bends back, jaw opens wide as possible, wrists stretch out, etc. Remember the body itself for anatomy purposes etc. It has pretty good anatomy overall and it isn't something over the top.